Discover one of Hunterdon County's most beautiful places and enjoy a terrific plein air paintng workshop with artist Oscar Peterson. 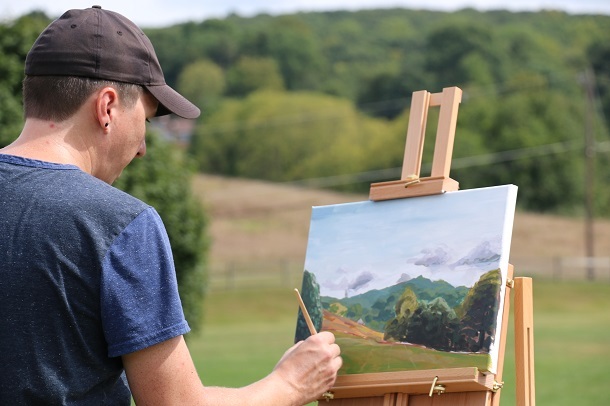 Just 15 minutes away from HAM, the stunning HCESC's Campus at Hoffman's Crossing in Califon will provide plenty of inspiration as you hone your landscape painting skills under Peterson's expert guidance. You'll discover the techniques to start, establish, and finish a painting en plein air while learning fundamental principles of capturing color, light, planes, and structure. Workshops will be held the first Tuesday of the month starting April 4. Other scheduled workshop dates are May 2 and June 6; you may attend any or all workshops. To register; please visit our website. Don't just paint: Pour it on! Create stunning, luminous art by learning the technique of pouring watercolors directly on paper in this fast-paced and fun class with artist Lena Shiffman. Pouring creates a wide range of colors and creates amazing blending effects. You'll pour the backgrounds, the lights and medium values, and paint the dark colors. All skill levels are welcome. Sign up today! WHEN: Friday, April 7 at 6 p.m. Drink creatively with beautiful wine glasses that you painted by hand! 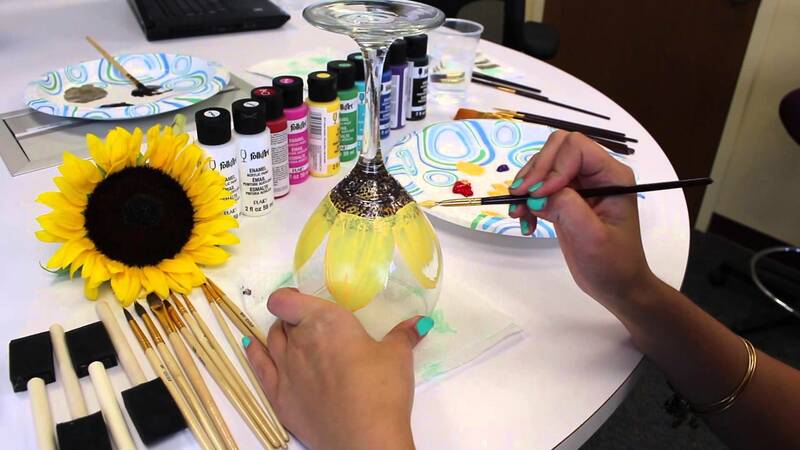 Learn how in our Wine Glass Painting Workshop on Friday, April 7 with Linda Schroeder. Take home a beautiful set of glasses that will impress all your wine aficionados. All materials included. Register here. Our classes are all taught by professional artists and teachers, guaranteeing you a vibrant and fun learning experience. You can check out our complete line up of spring adult classes and workshops on our website. Join us for a deliciously decadent evening of great food, dancing, live music and cocktails at our ArtParty 2017 Gala: RED. You'll enjoy an unforgettable evening for a good cause as proceeds will benefit our top-notch educational programs and exhibitions of contemporary art, craft and design. Travel around the world with tasty tapas perfectly prepared by 15 Landsdowne. Marvel at Metropolitan Seafood Co.'s amazing raw bar of shrimp, oysters and more. (Check out the menu here.) Sip cocktails on the Toshiko Takaezu Terrace besides a waterfall on the Raritan River while listening to the hot sounds of cool jazz. We'll also have a silent auction and raffles loaded with great prizes. ArtParty 2017: RED sponsors are: 15 Landsdowne, Metropolitan Seafood Co., Eggsotic Events, The Lucky Cupcake Company, The LOOK: An Aveda Hair Studio, Bourbon Street Wine & Spirits, Starr’s Party and Tent Rentals, Unity Bank, Investors Bank and HealthQuest. 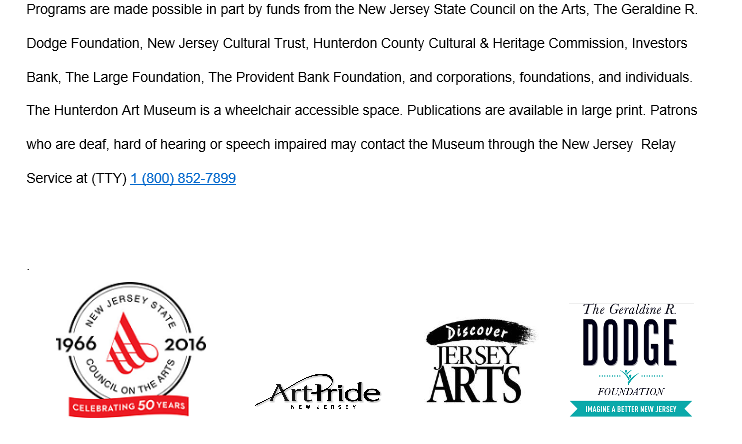 The Hunterdon Art Museum is offering 10 full scholarships to our Artistic Expressions class for adults with developmental disabilities this spring. To qualify, just visit our website and complete the application, or call HAM Education Coordinator April Anderson at 908-735-8415. Deadline to apply is Tuesday, April 11. Two Artistic Expressions classes will run for six consecutive weeks this spring: a Tuesday class beginning April 25th or a Thursday class starting April 27th. Both begin at 6:30 p.m., and scholarships are available for either class. 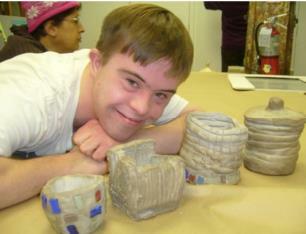 Artist Jim Pruznick leads this open studio class for adults and teens with developmental disabilities, in which art making topics are tailored to new and returning students, and include drawing, painting, sculpting, mixed media, animation, photography and fiber arts. An open studio class gives students the opportunity to experiment with a variety of materials and mediums and to create art at their own pace and skill level. Two instructors and a maximum class size of 10 students means each student receives individualized attention while working in a fun and supportive environment. Scholarships were made possible through funding from Janssen Pharmaceuticals and HAM’s 2015 ArtParty. Artistic Expressions is also made possible in part by a grant from Investors Foundation. 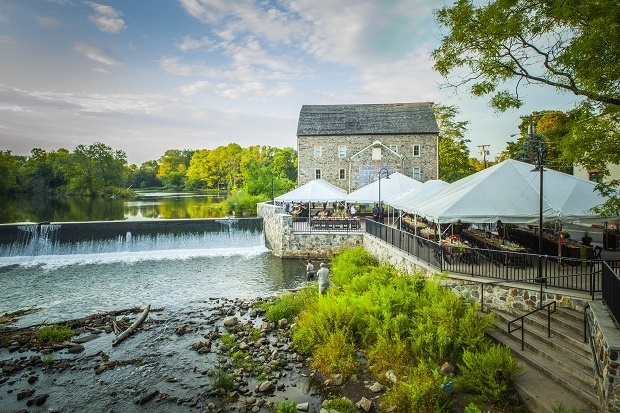 The Hunterdon Art Museum and the Red Mill Museum Village are teaming up to sponsor the third annual Two Mills Plein Air Day on Saturday, June 24. 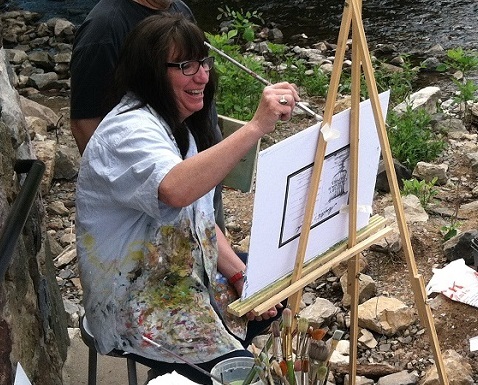 Artists of all skill levels can enjoy a fun day outdoors creating art at one of New Jersey’s most scenic views along the South Branch of the Raritan River. Artists are welcome to work with watercolors, pastels, charcoal or any other media. The event begins at 9 a.m. and will conclude with a wine-and-cheese reception on HAM's Toshiko Takaezu Terrace at 4 p.m.
One artist’s painting will be chosen best in show, as determined by the jurors, and will receive a $100 prize. Honorable Mentions will be noted for best watercolor, oil and mixed-media art. You can learn more and register for the Two Mills Plein Air Day via PayPal here or by calling us at 908-735-8415.